3 Beds 2 / 0 / 0 Baths 1,285 Sq. ft. Description: Lovely 3 bedroom, 2 full bath home in established los lunas community! Living room has a pellet stove for cozy winter nights. Master suite features cathedral ceilings. Enormous patio with drive-thru 2-car garage. Backyard access. Enjoy the refinished deck in the backyard. Landscaping on timed auto sprinkler system. 8x16 storage shed. Hot water heater replaced 2015. 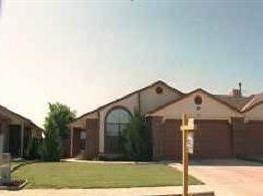 Convenient location with easy access to i-25 and minutes to albuquerque. Close to all city conveniences.